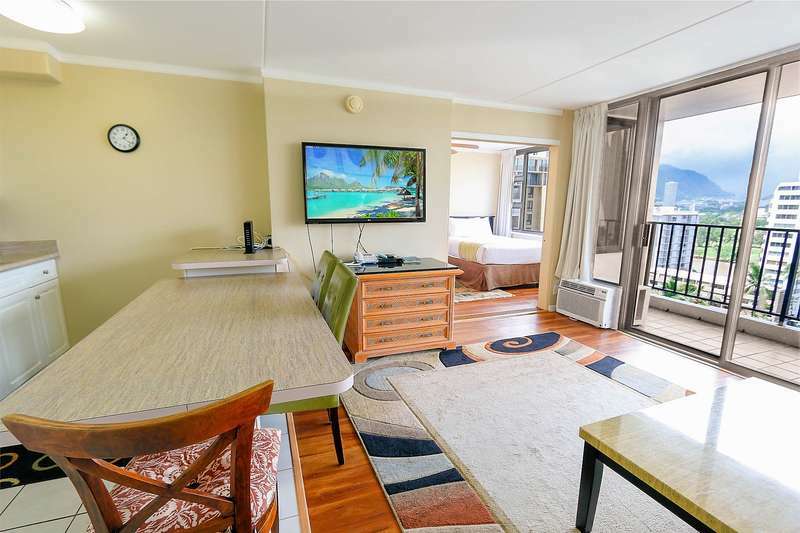 Experience paradise in this Ocean and City View Waikiki Banyan condo suite. 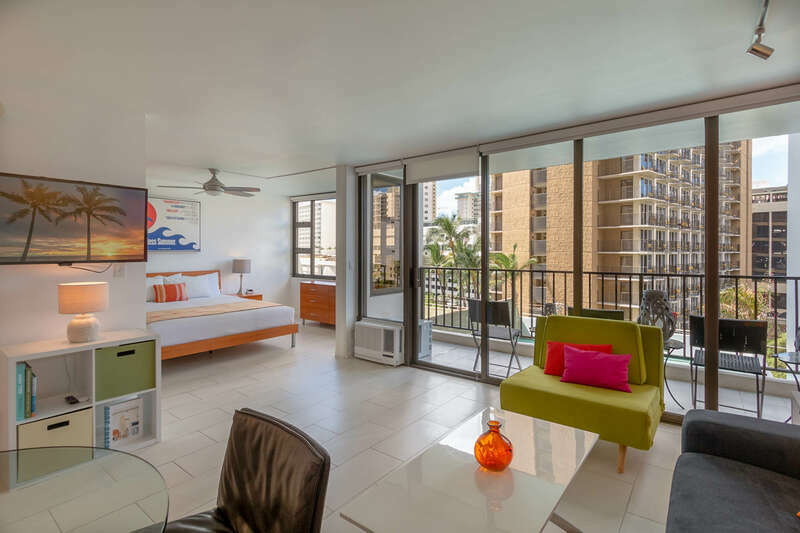 Located only one block from world famous Waikiki Beach! Nine (9) foot ceilings and a wide open view make this condo feel spacious. This condo fills up very fast so please book now! This condo is light and airy with carpet and comfortable seating in the living room. Enjoy a fully-equipped kitchen including a refrigerator, range, microwave, rice maker, coffee maker, and other kitchen wares. Enjoy extra countertop space and seating for 3 on the extra large island. 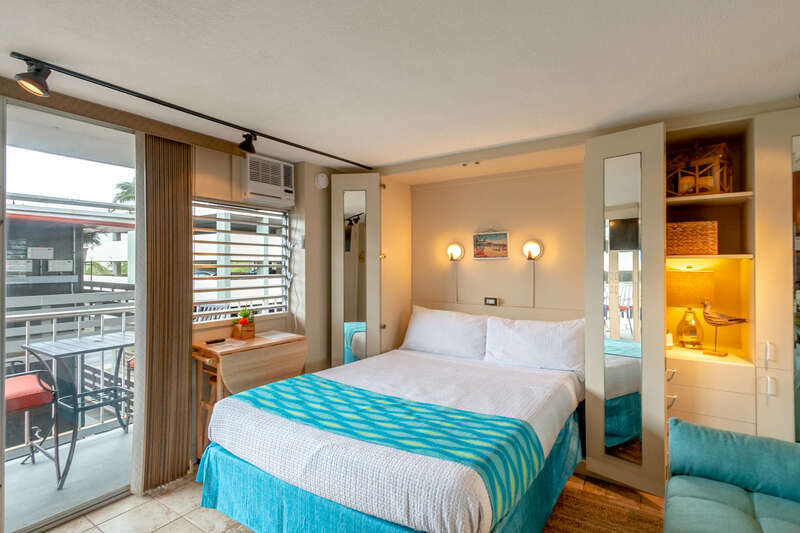 Convenient sleeping arrangements include two queen-sized beds in the bedroom. If additional sleeping capacity is needed, there are high-quality air mattresses available for rent. The bedroom is separated from the living room by a floor to ceiling curtain. The bathroom has 2 access doors, a privacy door to separate the toilet area and a hand held sprayer in the shower.